Last modified: May 17, 2016, 4 p.m.
To configure OneLogin to sign in users into UserEcho using SAML, follow those steps. In OneLogin, navigate to Apps → Add app and search for UserEcho. Click on App name, and then Save. Type your UserEcho subdomain into the Subdomain field within the Configuration tab. 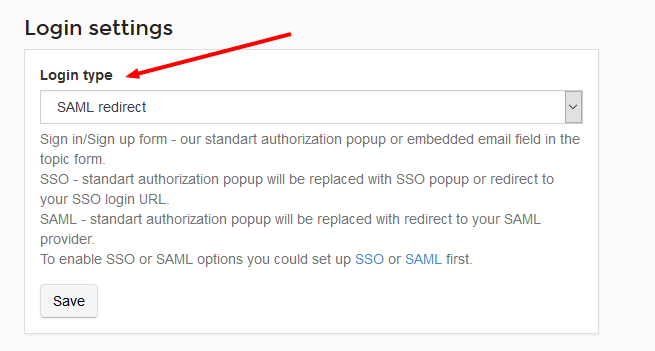 Go to Settings → Integrations → Single sign-on SAML2. 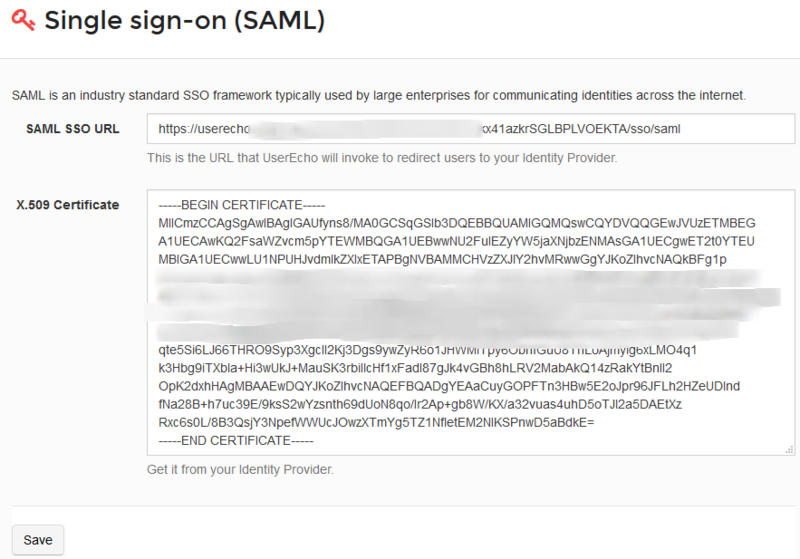 Input the SAML SSO URL  of your Identity Provider (required). This is the HTTP endpoint copied in Step 1 above. Paste your OneLogin x509 certificate. This is the x509 certificate copied in Step 3 above. Then go to Settings → Project → Login settings and enable SAML redirect. Make sure you are logged out of UserEcho. Click the UserEcho icon on your dashboard. This should log you into UserEcho. Alternatively, you can go to http://subdomain.userecho.com and attempt to sign in, at which point you should be signed in through OneLogin.